If you've frequented many gaming message boards, you've probably seen the term "GayStation" tossed around as a cheap slur. Seems it's about time LGBT activists tried to reclaim it. 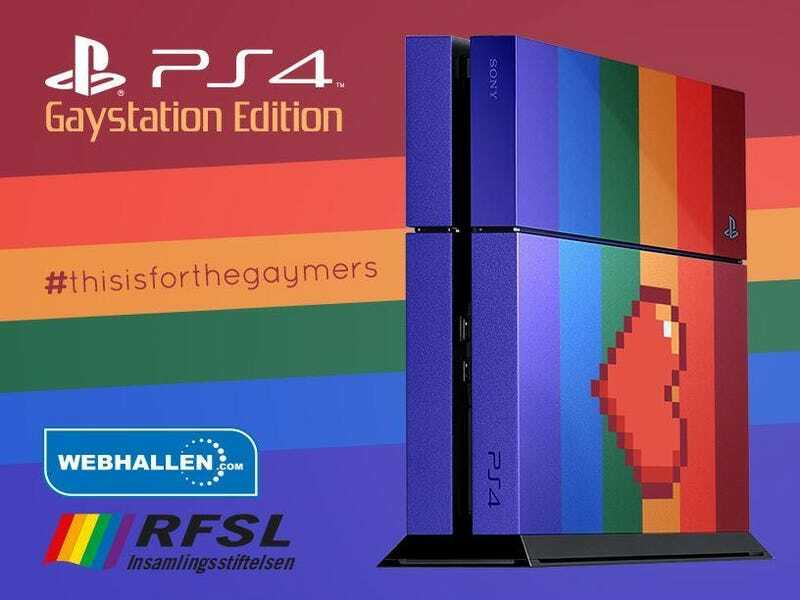 This custom rainbow PS4, dubbed the 'Gaystation' by its creators, is being auctioned during Sweden's pride week to benefit the Swedish LGBT rights group RFSL. Current bidding is at 17,200 Swedish krona, or around $2,500 USD. Not bad! If you'd told me someone was making a pride-themed rainbow PS4, I probably would have assumed it'd be garish and ugly. Happily, this console actually looks pretty sweet.